10 Style Tips for Professional Women – Tiffany Anisette Intl. 1. Follow the dress codes – there will probably be some written and unwritten dress codes at your place of work but this does not mean that you should look boring or like a clone. 3. Invest in key pieces – well fitting jackets and suits, a versatile quality leather handbag – they will be well worth the money in the long run. 4. 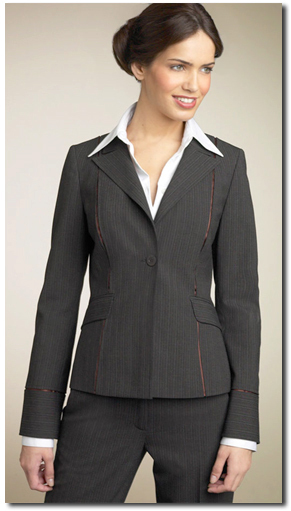 Fit is everything – If you can’t find clothes that fit you perfectly, then get them professionally altered. Your clothes should look like they were made especially for you. 5. Consider carefully which colours you wear – Whilst some professions or firms will require that dark suits are worn, others will be more open to brighter or more colourful outfits. Choose colours that really complement your hair colour and skin tone. If you are limited to wearing dark colours, consider grey, navy, beige or brown, all of which will be less draining for your complexion than black. 6. Never wear low cut tops or short skirts – only you will know what is really appropriate for your role and place of work. As a general rule professional dress does not incluse short skirts or low cut tops and for some places sleeveless tops or dresses. They are unlikely to create the right impression and will only divert attention from the great work that you are doing. 7. Always wear comfortable and practical clothes – if you cannot easily walk in your shoes, then you will not appear confident and in control. A skirt that is too tight will also distract you from the work that you are doing. It is really important that you are comfortable as looking stylish is partly about how you stand, hold yourself and feel. 8. Pay attention to detail – everything right down to the handbag or laptop bag that you carry and the jewellery that you wear will contribute to how you look. Clean shoes and nails, well pressed clothes, neat hair and just the right amount of makeup (and perfume) are all important details that people WILL notice. 9. Get Organised – If you are busy, being organised is the key to looking stylish. Have a capsule wardrobe so that you can quickly decide on what to wear in the morning. Have routines which ensure that you always have clean pressed clothes and time to do your hair and makeup. A stylish and well organised handbag or work bag will also help to projects the image of a professional who is in control. 10. Pay attention to the whole package – looking stylish is not just about what you wear on the outside. It is also about confidence. If you feel confident in the clothes that you are wearing, then you will instantly look more stylish. Make time to relax and look after your health, it will really show. Even with all of these things to consider, it is still possible to show a little of your personality in the clothes that you wear for work. Find some clothes and accessories that really work for you and your work. 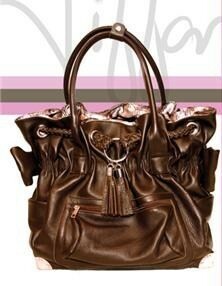 The Tiffany Anisette B.A.G (Business Active Girl) is a stylish multitasking leather handbag with wheels. It is big enough to carry a laptop, paperwork or files and has wheels and a handle so that it can easily be transported without damage or strain to the back, shoulders, neck and joints. An ideal choice for professional women who do not want to compromise on style or their health.